Today, iFixit has shared some wallpapers that are designed for the iPhone X’s OLED edge-to-edge display. Every year, following their ritual iPhone teardown analysis, the wizards over at iFixit post their special wallpapers that reflect the internals of Apple’s latest smartphone. Their latest iPhone X-themed wallpapers look better than on the phone’s bright, vivid edge-to-edge OLED panel, especially with the bezel-less front face. When you use this wallpaper, it almost seems like the front of your phone is missing. iFixit released two different wallpapers, the standard internals and a special X-ray edition. The images, which are linked below, will reportedly work well as both Still and Perspective wallpapers on the iPhone X. If you have an iPhone 8 or iPhone 8 Plus, you may feel left out right about now. Worry not! iFixit has announced that they are currently working on these wallpapers for the iPhone 8 and 8 Plus, and they will be available soon. 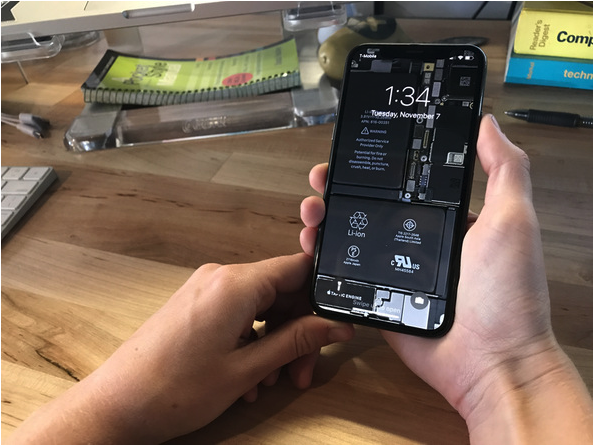 What do you think of iFixit’s internals wallpaper for the iPhone X? Let us know in the comments below.